There’s a big step from engaged to married. It’s not just exchanging rings and wedding vows, it’s exchanging one lifestyle for another. Even as an engaged person you had a certain independence that meant you had some space of your own. There was a part of your day or night that you were your own person. In a marriage this more or less disappears completely. No matter how much freedom you have in your marriage, how flexible the boundaries – you still have to remember that there is now someone else that you must keep 100% in your life-loop! If you’re going to be late from work, you need to make sure your husband/wife knows. If you aren’t going to be home for supper, they need to know. If you aren’t going to be able to get the dry cleaning on the way home, and it’s needed for the next day, they need to know so they can go get it! This is a major life change. At first it feels as if you are back answering to your parents! You may even rebel against the idea. But think about it for a moment. Your husband/wife always walks through the door at 6. 52pm – give or take 4 minutes. You have supper waiting on the table. At 7. 20pm supper is cold, and they still have not arrived. 8. 25pm when they walk through the door, you’re halfway through dialing the number for the local hospital because you’re sure something’s happened to them. They smile and apologize for being late but they got caught up in a last minute meeting. No thought to the anguish you’ve been through picturing them hurt or worse! You don’t want to be the one feeling this way, and so make sure you don’t do the same kind of thing to your beloved! Letting your partner know your schedule is a sign of consideration. Of acknowledging that this other person cares about you and will worry if you are not where you’ve said you’ll be at the time you said you’ll be there. Gone too are the days when you could say “Sure, I’ll come for pizza tonight!” to work colleagues without even thinking about it. First of all you need to call your partner and tell them that this is what you’re planning, and making sure that they are okay with it. Yes, I know, too bad if they aren’t, but they may have made other plans for the evening that you don’t know about and so it is worth checking first! Consideration for your new husband or wife is the first and most important aspect of your marriage during the early days because it’s the thing that’s most difficult to adjust too. Is your music too loud? Does your partner want to watch a different channel? Do you take all the blankets in bed? Do you snore? You don’t check these things because you benefit, nor as a partner would you usually complain about them, but you do them because you want your marriage to be a partnership with two equal partners. If you argue about something, find common middle ground. There should be no power struggle if both parties respect each other enough to accept that both people are entitled to hold differing viewpoints. Don’t back down from confrontation, don’t press forward your advantage, be considerate towards each other and negotiate a situation you can both agree to. 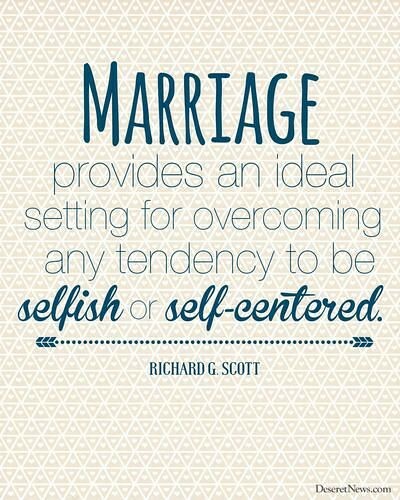 In the early weeks and months of marriage, you’ll find many things new and sometimes not exactly the way you thought they’d be, but if both parties add consideration to their menu of love, trust and respect, then married life will soon settle down and you’ll become accustomed to doing things without resentment or obligation. You’ll do them because you want too.